In the past, traveling for business meant long days or weeks away from home in a nondescript hotel room working all day and late into the night, with only greasy takeout to look forward to. Today’s modern business executive desires a more comprehensive traveling experience that efficiently combines business and pleasure. Home to numerous Fortune 500 companies, vast entertainment options, and superior dining, the master-planned urban center of Las Colinas near Dallas is the new blueprint for urban living and offers the ultimate corporate travel experience. A twelve thousand acre corporate and residential development, Las Colinas is located northwest of Dallas and north of Irving proper. It has enchanted visitors earning it, as part of Irving, a place on the “Top 50 Places To Live” by Bloomberg Businessweek. Las Colinas is considered to be the largest office park in Texas, boasting a daytime population of 130,000 that largely inhabit the 26.5 million square feet of office space and 1.3 million square feet of retail space. Amongst some of the beautiful buildings of the cityscape are the offices of Fortune 500 companies such as AT&T, Bank of America, ExxonMobil, Kimberly-Cark, Microsoft, and so many more. The city’s proximity to the Dallas-Fort Worth Metroplex is a huge draw for traveling executives. Approximately fifteen minutes from downtown Dallas and twenty minutes from Fort Worth, Las Colinas is also close to the area’s two major airports, DFW Airport and Dallas Love Field. The newly built Dallas Area Rapid Transit Orange Line directly connects Las Colinas with downtown Dallas, DFW Airport, and many other high traffic areas. But don’t let this corporate-friendly city fool you into thinking they are all business and no play. Tucked away into the heart of this business culture is a thriving residential community. The development has more than fifty small lakes, seventeen miles of canals and waterways, ten miles of riverside hiking and biking trails, public and private parks, museums, and colleges. Corporate apartments can be one of the most efficient, personable, and luxurious ways to travel for business. 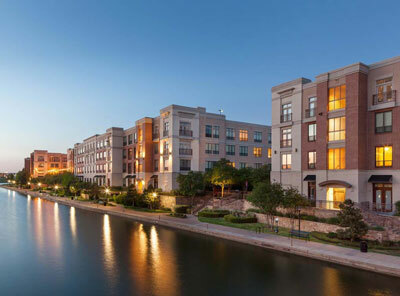 In a fast-growing urban area such as Las Colinas, there is no shortage of these accommodations, making the next step to find the right corporate apartment for your specific needs simple and stress-free. Corporate housing companies have become a preferable option largely because of their flexible lease terms for relatively short-term assignments. Although this type of temporary housing is available through larger companies for a minimum of one night, it is more often utilized for stays of two days or much longer. When choosing a corporate apartment, location is absolutely key. Look for corporate housing that is in close proximity to the office so you can avoid spending needless time in traffic. Yet it is equally important to choose somewhere nearby to restaurants and entertainment so you don’t spend evenings alone and stuck indoors. 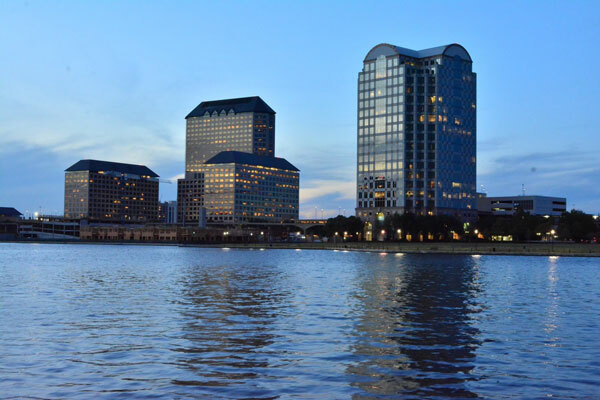 If staying in Las Colinas, corporate apartment complexes like Amli Campion Trail, Jefferson Las Colinas, and Crest Las Colinas are located fairly close to Lake Carolyn, as well as corporate and entertainment venues. Access to transportation is a must for the business executive staying for a week or longer. Las Colinas corporate apartments are approximately fifteen minutes away from downtown Dallas and the rail system is available for this transit. The same convenient rail system connects Las Colinas with DFW Airport, making flying in and out of the area a breeze. Because of the largely business culture of Las Colinas, their corporate apartments are very much tailored to a traveling executive’s needs. The primary goal of executive housing is to provide a worry-free and custom experience for guests that they can count on and look forward to with every stay. Most corporate apartment chains will offer basic amenities such as a fully-furnished apartment and full-kitchen as well as standard utilities and housekeeping. 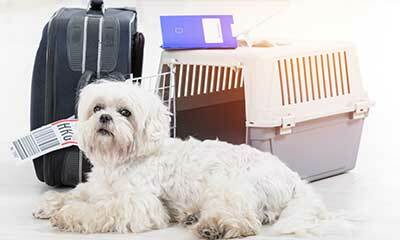 Having a fully furnished apartment makes it comfortable and roomy enough to entertain friends or colleagues, while a full kitchen is a necessary luxury for those traveling with limiting dietary restrictions. Larger corporate apartment facilities may offer some irresistible deluxe amenities for the executive on the go. Around the clock guest services are particularly helpful to the executive keeping late hours who realizes they forgot to pack their toothbrush. Personalized business services are available for executives needing additional access to onsite technologies and can be tailored for special projects if need be. Limited grocery service is another guest favorite. Guests catching the red-eye into town are grateful to have their living quarters stocked with just a few of the basics needed until they can find time to provide those on their own. 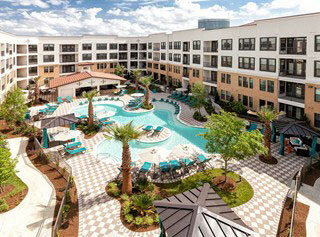 Choose an executive housing company that advises you about more than just apartment amenities. Staff should be well versed in a number of nearby entertainment and dining options that improve the overall quality of your stay in Las Colinas. Lake Carolyn is a popular retreat for busy executives with approximately 125 acres that act as a refreshing natural oasis from the pressures of a stressful day. It’s gorgeous, calm waters make the lake a main attraction for those wanting to escape into nature for an hour or two. Private gondola rides on Lake Carolyn are a favorite for Las Colinas visitors. Several companies offer private cruises through the venetian-style Mandalay Canals. For those traveling with a loved one, many of those private gondola rides can be transformed into a dinner cruise for two, complete with soft blankets, comfortable pillows, and romantic serenades provided by your guide as you glide by magnificent waterfalls and under striking foot bridges. Public lake cruises and paddle boat rentals are also available for those wanting to take in the beauty of the lake. In order to keep this environment pristine and serene for all who enjoy it, no private boating, fishing, or swimming is permitted on Lake Carolyn. A charming sidewalk of approximately three miles hugs the perimeter of the lake, permitting visitors to appreciate the scenery while strolling amongst gorgeous office buildings, quaint shops, fine restaurants, and more residential areas. While there is no shortage of entertainment in Las Colinas, including shopping, dining, the arts, and comedy, perhaps the new crown jewel of the area is the Toyota Music Factory complex. They say everything is bigger in Texas and Toyota Music Factory is no exception. It is one of the most vast and sprawling entertainment venues in the country, with a variety of restaurants and bars that are a favorite for domestic and international guests alike. The 250,000 square foot development features an 8,000 person capacity for an indoor amphitheater that can quickly convert into an outdoor amphitheater. The massive complex includes The Pavilion and The Lottery Plaza. The Pavilion is a four thousand seat theater that can be converted into a more intimate 2,500 seat theater for special occasions. The Lottery Plaza is an outdoor fifty thousand square foot event plaza utilized for live music, fashion shows, food festivals, and farmers markets. The Toyota Music Factory is the perfect place to unwind with colleagues or friends. Perhaps one of the biggest draws of The Toyota Music Factory is Big Beat Dallas, an open-air plaza home to a nightclub and several outstanding restaurants. Big Beat Dallas is the largest tenant in the complex, and its founder is none other than Billy Bob Barnett of Fort Worth’s wildly successful Billy Bob’s Texas. Martini Ranch nightclub features a large dance floor and bar area. The four restaurants of Big Beat Dallas include Bar Manzanilla, Highway 61 South, Texas Jam House, and Texas C-Bar. Bar Manzanilla offers primarily Latin cuisine as well as a variety of cocktails. With blues music playing softly in the background, Highway 61 South serves authentic Texas BBQ. Texas Jam House is open twenty-four hours a day and is known for their down home southern dishes. Texas C-Bar is an upscale steakhouse known for its amazing scotch whiskey offerings and jazz music. A few more draws at Toyota Music Factory include Alamo Drafthouse Movie Theater and Thirsty Lion Gastropub. Alamo Drafthouse Movie Theater plays the latest and greatest on seven screens for movie connoisseurs that enjoy wine, draft beer, cocktails and a wide range of savory snacks and entrees while at the cinema. Thirsty Lion Gastropub offers homemade, from scratch cooking paired perfectly with local craft beers and cocktails that can be enjoyed while watching a game or relaxing on the outdoor patio. Las Colinas is one of the fastest growing, up and coming urban areas in the nation. With roots in corporate culture, the city is refreshingly home to decidedly residential amenities of jogging and hiking trails and lake life. Local entertainment is simply unparalleled in scope and experience. The city of Las Colinas vibrates with an energy all its own and proudly welcomes visitors from all over the world. We take great pride in our furnished, Class A apartments, and we’d love to have you over for a sweet social and quick tour of the residence. Would you have time on July 26th between 11 a.m. and 2 p.m. to join us for an open house that is close to your office? Most of our clients just don’t realize how much nicer our apartments are compared to a hotel or extended stay suite, so we like to hold open houses so that you get a sense of the much larger space, home-like amenities, and 24/7 guest care. Email us directly to reserve your space for this no-cost event. We take great pride in our furnished, Class A apartments, and we’d love to have you over for a sweet social and quick tour of the residence. Would you have time on July 25th between 11 a.m. and 2 p.m. to join us for an open house that is close to your office? Let Us House Your Interns! Intern seasons and Graduate programs are around the corner. Murphy’s Corporate Lodging can help make sure your interns are comfortable in their temporary housing, resulting in better productivity. Whether your company is paying for housing or providing a lump sum for interns to use, we can help you find the solution that best accommodates your team. Murphy’s Corporate Lodging offers fully furnished facilities, washer and dryer in every unit, and complimentary Wi-Fi. Our dedicated sales team is with your intern from start to finish. With initiatives such as intern orientation and bus routing information, we set your intern up for optimal success. Once you Live Murphy’s you won’t want to live anywhere else. Have questions? Send us a quick email at info@corplodge.com. We Cant Wait for you to Live Murphy’s! Murphy’s Corporate Lodging has centrally located travel accommodations in the Houston Galleria area. Our team will be at High Point Uptown hosting an open house from 11 a.m. to 2 p.m. on December 6th, and we’d love to have you come look at this great new option for any business travel needs, including one-night stays. We’re always conscious of our clients’ budget needs and provide all-inclusive, upfront pricing that won’t balloon out of control like a hotel does with their hidden fees for wifi, parking, laundry, and more. And we love to show clients how much more value they get from our apartments versus an extended stay or hotel. Would you have time on December 6th to join our team for an open house at High Point Uptown? Personalized tours are available until 2 p.m. Just register online for this no-cost event to reserve your space or email us directly. This event has already taken place, but you can subscribe to receive future invitations. 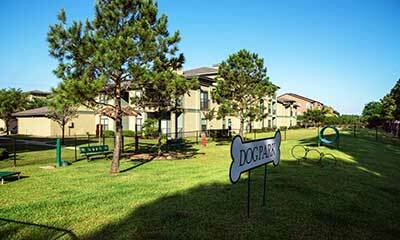 Murphy’s Corporate Lodging has centrally located travel accommodations in the Fort Worth area. Our team will be at Lofts at West 7th hosting an open house from 11 a.m. to 2 p.m. on November 9th, and we’d love to have you come look at this great new option for any business travel needs, including one-night stays. Would you have time on November 9th to join our team for an open house at Lofts at West 7th in Fort Worth? Personalized tours are available until 2 p.m. Just register online for this no-cost event to reserve your space or email us directly. Murphy’s Corporate Lodging has centrally located travel accommodations in the Frisco/Plano area. Our team will be at The Grand at Legacy West hosting an open house from 11 a.m. to 2 p.m. on November 7th, and we’d love to have you come look at this great new option for any business travel needs, including one-night stays. Would you have time on November 7th to join our team for an open house at The Grand at Legacy West in Plano? Personalized tours are available until 2 p.m. Just register online for this no-cost event to reserve your space or email us directly. With an estimated 185,000 homes destroyed or damaged in the Houston area due to Hurricane Harvey, the corporate lodging industry has been working diligently to provide housing for as many displaced people as possible. No single arm of the corporate housing industry could have responded to the overwhelming need alone, and what has been amazing to see is the cooperation and dedication from furniture providers, utility companies, apartment community managers, and service companies. This has not been a singular effort but has taken a coordinated industry effort to achieve. Furniture vendors worked on shipping their supplies in from other states, necessitating finding more trucks and fuel at a time when both were in short supply. Many apartment community employees worked long hours to take care of their current residents and expedite the setup process for empty apartments. Utility employees were out, even when the hurricane was still storming over Houston, restoring power, cable, and gas. Service companies were available during and after the storm to take requests for housing, with many employees answering calls and emails from their homes that were surrounded by flood waters. So many in the industry were personally affected yet still focused on being of service to others and helping to house displaced families and clients. We are so thankful to be part of an industry that truly cares about its customers and was able to show it through their dedication and innovative solutions. Lastly, those who were displaced by Hurricane Harvey or needed accommodations to help in the recovery were also pivotal players in the success of housing so many people. Clients and guests were patient and understanding that cable and internet may not be ready quite yet, and the attitude of “making it work” and being of service remained at the forefront of everyone’s mind. The corporate housing industry has shown itself to be a great asset in times of crisis, and although we hope to be spared future disasters, we know that we all have each other should the industry be called on again to help. Check out our tips for how to have an authentic Las Colinas travel experience. AMLI Campion Trail is perfectly located for the nature lover with easy access to walking trails and parks. Get rates for AMLI Campion Trail. Sign up to receive Murphy’s Corporate Lodging’s Pro Tips in your inbox.